2012 ADDY Site is Live! Posted by Christian Knightly on December 22, 2011, updated September 5, 2014. Posted by Dan on February 20, 2011, updated September 5, 2014. 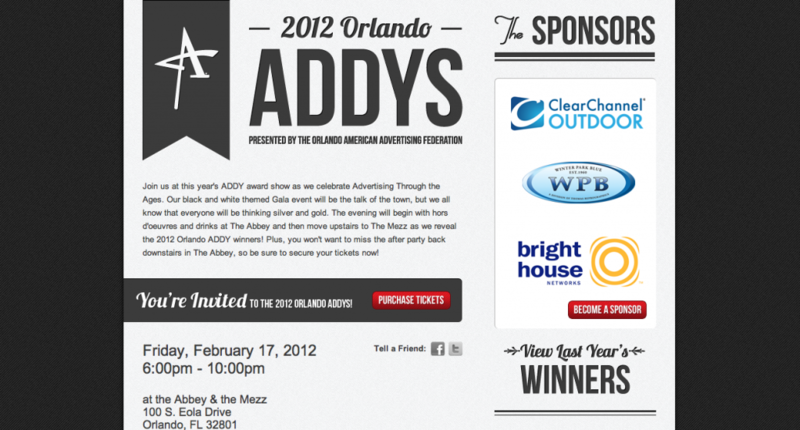 This year, we had the pleasure of designing a site to showcase the hard work of the Orlando ADDY winners. If you have a chance, check out who took home the gold!